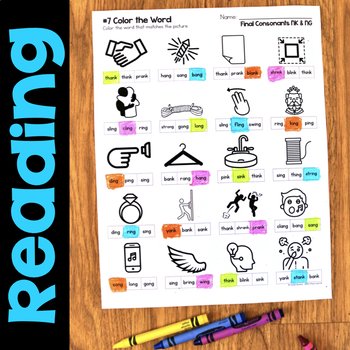 These Words with NG & NK worksheets are perfect for your phonics word work centers. 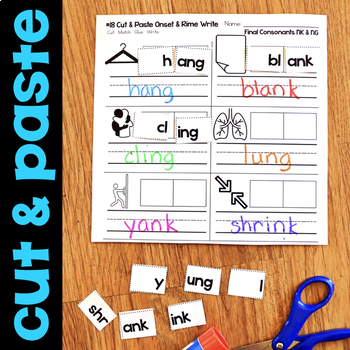 They focus on all digraphs with short vowels and include 54 NO PREP printables to practice initial blends. 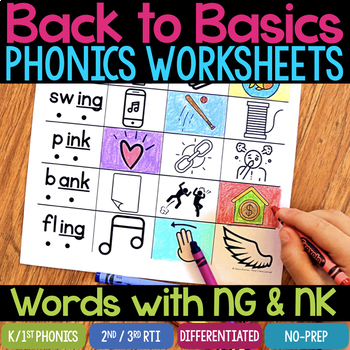 The Words with NG & NK words in this set of phonics worksheets include short vowels with ING, ANG, ONG, UNG. 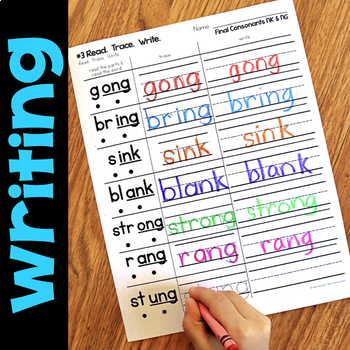 The sentences contain digraphs and blends and build off the Short Vowel Worksheets, Digraph Worksheets, Final Blends Worksheets, and Initial Blends Worksheets.